THE CANADIAN PRESS -- MONTREAL - A Canadian teen could become the youngest person ever to go into space. The 17-year-old Calgary boy is among hundreds of space tourists who have already reserved their place for a flight into the cosmos. So far, 440 individuals have paid deposits for trips aboard billionaire Sir Richard Branson's Virgin Galactic spaceships and are waiting for final tests to be completed. The teenager didn't want to be identified. While many teenagers expect to get their driver's licence when they turn 16, travel agent Michael Broadhurst says the young Calgarian was already looking beyond the horizon. "He had the money for the space trip put down for him when he was 16," Broadhurst said. "He's 17 now and he will fly at 18. "He is actually the only one at the moment who is under 18 on the list." Virgin Galactic won't fly anyone under 18. The travel agent says it could be another year or two before the teenager, who will be accompanied by a parent, will actually fly, but in the meantime his family doesn't want him doing any interviews. The Space Today website says Russian cosmonaut Gherman Titov was the youngest person ever to go to orbit. He flew in August 1961 at the age of 25. 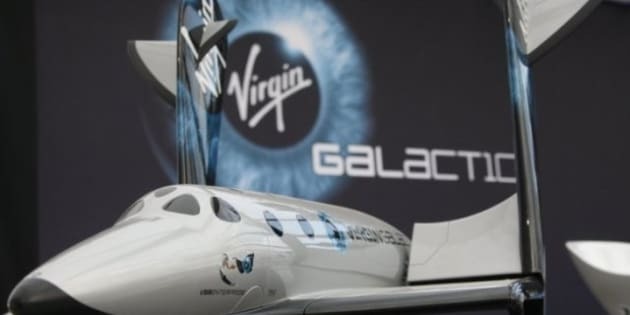 Virgin Galactic's Carolyn Wincer, who's in charge of sales, says 23 Canadians -- 17 men and six women -- are among the space voyagers who have reserved a flight, which costs $US200,000 for each traveller. One of them is Stephanie Anevich, part-owner of Vision 2000 Travel Group, which books all the Virgin Galactic flights in Canada. The 56-year-old Toronto woman, who has three sons in their 20s, decided she didn't want to sit on the sidelines. Anevich says she made up her mind two years ago after she experienced weightlessness during a flight in Las Vegas on a specially modified airplane. "As soon as I did the zero-gravity flight, I knew I really wanted to go into space," she said. "That was it." Anevich has already met some of the other would-be space travellers from around the world. "There's a large number who are entrepreneurial or adventure lovers, who have done a lot of exciting travel in their lifetime and this is just a another notch in their belt," she said. "And there are some people who are uber-rich who are going because they can afford to do almost anything." Anevich admits she never thought of becoming an astronaut and actually wanted to be a fashion designer when she was young. "It's never been in my blood,'' she said. ''I don't even like roller-coasters. I don't like going up in them. They scare me." About a half-dozen of the future astronauts are from Ontario, but Calgary is Virgin Galactic's biggest single Canadian market with 10 reservations. "I just think they've got a real 'can-do' spirit and want to be on the leading edge of where the world and tourism are going," said Broadhurst, who also works for Vision 2000. The western space tourists include two people from the oil patch, a dentist, as well as entrepreneurs in the construction business in Calgary. There's also a married couple and several singles. The astronaut-tourists from more than 40 countries have put down deposits totalling $55 million. The sub-orbital flights Virgin Galactic offers would send a vessel into space without actually completing an orbit of the Earth. After being launched from a mother ship, a two-piloted rocket plane would take six tourists about 110 kilometres above Earth _ where they would briefly experience weightlessness. The first spaceship is currently undergoing testing and should begin taking up passengers in about one year. "Something like 12 months from now we should be ready," Branson told The Canadian Press in early June. "Obviously we want to be 100 per cent sure that we got every single little safety detail right," he added. "But the moment we're ready to go, we'll be going." Branson said the cost of space travel will become more affordable -- but not for sometime. "I'd rather not forecast, but I mean 10 to 15 years from now, we should have got it down below $50,000," he said. "Once the ball really starts rolling and we get large numbers, then the price could come down even further."